One of the best areas to save money when doing a kitchen up is, without a doubt, the countertops and other kitchen surfaces. Choosing cheap countertops instead of more expensive materials can make a big difference and leave spare money to be used in things where money really has an effect, such as appliances. The beauty of saving money on your worktops is that cheap kitchen worktops are often as functional as much more expensive ones. For example, laminate may not have the durability or finish of granite but it will work just fine on your kitchen and you can always replace it 5 years down the line with something more expensive if you want. Countertops are an area of the kitchen that needs to be functional, because you will be using it a lot. So in some cases, installing cheap countertops is better than purchasing higher maintenance luxury ones, particularly if you want to use them without a worry. However, if you go too far and get really budget ones you may find out that they are not suitable for use. So always keep in mind balancing price with quality. When choosing a material for your worktops, it’s better to choose the most expensive quality you can afford. For example, if you can’t afford slab granite unless it’s really end-of-line or low quality, you may be better off buying quartz or synthetic granite of a higher quality. Or even going away from natural stone and buying high quality butcher block countertops or concrete ones. 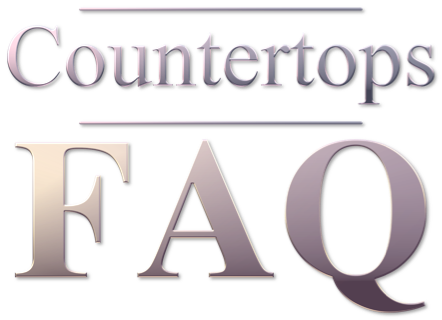 High quality affordable countertops are usually better than low-quality expensive ones. In order to save money, it is important to look for offers and discounts. In today’s competitive marketplace it’s rare to find a provider or installer that doesn’t offer deals whether online or in-store. Nothing beats checking out in-store deals (stay away from pushy salesmen, and always do your research beforehand) as many sales representatives have targets to hit and are willing to compromise in price if the client knows what he wants and is looking for a good deal. Some of the best deals you can find are discounted countertops from orders that were cancelled, end of line models or materials that need selling to make room for the latest trends. You may even be able to install some types of countertops yourself, such as wood or laminate, but stay away from things that require specialist installation (granite, I’m looking at you) unless you want the price to go up. And if you choose to have your worktops installed by a professional remember that you are under no obligation to make use of the store’s installation service. The Internet, that wonderful place full of offers and discounts on absolutely everything, including kitchen elements. You can get exclusive vouchers for brick-and-mortar retailers, participate in group buying websites offering competitive deals or even buying from online-only retailers which pass on the savings of not having a physical location to the customer. Or, if you aren’t terribly keen on buying something you can’t see first-hand, you can always use your computer to find out the best countertop for your needs and get price estimates from a variety of sources. If you are looking to make a significant update to your kitchen, trade shows can be a time-consuming but worthwhile activity. You can often find discounted or even free tickets on magazines, newspapers or online, so all you need to add is your time. You will be able to approach manufacturers and retailers on a very competitive environment, where they will have all their best deals ready for potential customers. However, in order to make the most of your limited time at a trade show it’s worth spending time doing research beforehand on the providers you want to talk to, and create a route among the stalls. Otherwise you will end up with achy feet and little results. Buying cheap countertops is all about researching, being flexible and negotiating the best deals with the right providers. Whether you dream of marble worktops or are happy with installing your own flat-pack laminate countertops, there is no reason to pay over the top for your kitchen surfaces. Just remember not to sacrifice quality in the pursuit of savings!